Create an e-mail account for them. 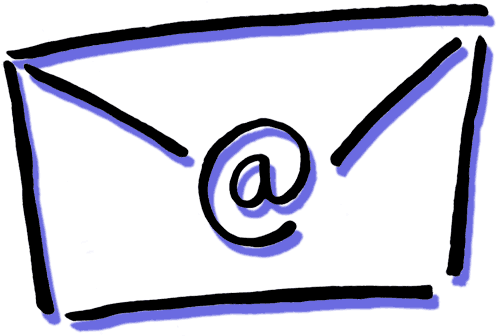 Make your kids an e-mail account and send them e-mails, pictures, videos, whatever. When they turn 18 (let's say) give them the password. Voila! This works great to cut down on all those cute pictures they make you. Snap and photo and send it to them. Give the e-mail out to friends and family. They can contribute too. Don't worry...you can delete any that you feel are inappropriate. Make them a shadow box. Craft stores always have these in stock. Grab one for each kid next time they go on sale, and get to work. Make a birth shadow box with newborn photo, first outfit, first curl, etc. Or use a shadow box to display their best loved toys. The best part: it's on the wall so everyone can enjoy it. This Canadian mother had a bright idea: save all the stuff found in her son's pockets before tossing the clothes in the wash. At his wedding, she gave him a lamp containing all the treasures from his childhood. Turn their baby clothes into a stocking. Use their baby clothes to make a stocking and (if you can find a place to store it) give it to your child when they are expecting their first baby as a "my first stocking." Put it in a binder. Hole punch it. Stick it in a binder. Done. My mom did this for me. (OK...it wasn't a binder, but the empty photo album she meant to fill up with pictures.) It was nice to see some of the stuff I drew and reports I wrote. My kids really get a kick out of seeing my "little kid" handwriting! Make a t-shirt memory scarf. Club, concert, school t-shirts piling up? Make a memory scarf out of them. Make a digital handprint on your iPad every year. We're busy. I get it. Our kids know how much we love them because of the time we spend...but it sure would be nice to pull out one of these bad-boys some momentous birthday! Need more inspiration? Check out these 26 ways to preserve your kids memories forever. Got any more ideas? Share them here!